He says it is time to hold a discussion in essence. 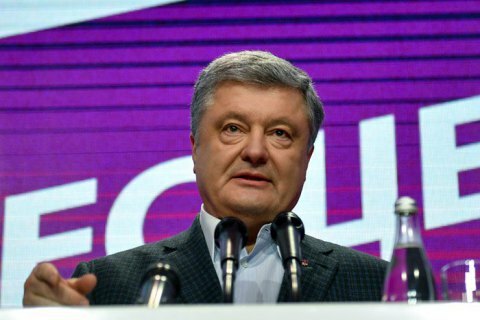 President Petro Poroshenko has invited presidential election frontrunner Volodymyr Zelenskyy to a public debate on 14 April, a week before the runoff. The suggested venue for the discussion is the Olympic Stadium in Kyiv. "The debate is not a show or competition. Discussions by form must be stopped. No-one cares about them already. There must be a discussion in essence. This can only be done during a debate. Mr Volodymyr Zelenskyy suggested a stadium. I personally think that a stadium is clearly not the best place for this discussion. But [if you want] a stadium, let it be a stadium!" Poroshenko said on the air of Ukrayina TV. In the first round of the presidential election, Zelenskyy received 30.24% of the vote and Poroshenko had 15.95%.